Cathy's Card Spot: Happy New Year! Here's to mixed media. I hope 2018 is a great year for everyone and that you find time to do more of what you love, creatively and otherwise! This card uses a mixture of old and new things from my stash. The stamp set is one of the first I ever bought, from Lucy Stamps. The newbie is Neocolor II watercolour pastels. I used them to colour the daisies and as a colour wash on the base. I decided I wanted more colour so added some jade infusions and spritzed on some water. I used a technique I saw on Carole Dion's blog. She used a silicone brush to spread nuance crystals once they were spritzed, so that the colour was a bit more controlled. My base was gessoed and painted with Neocolors so I had to be careful not to add too much water. Once I sprinkled on the infusions and spritzed a little water I brushed the colour up from the bottom. I love how the ripped cardboard gives so much texture and lets the colour settle in pools! The edges are distressed with a touch of vintage photo distress ink. and to the party challenge at Simon Says Stamp Monday. A birthday is a great excuse to party! I used a scrap of black and kraft card to layer under the cardboard panel, just to tie in the black and brown on the card, so I'm also visiting the snippets playground at Pixie's Crafty Workshop, you only need 1 scrap or snippet to join in. 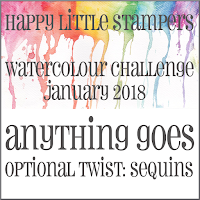 I'm also linking up to the watercolour challenge at Happy Little Stampers. There's loads of gorgeous watercolour inspiration from the DT to have a look at too. 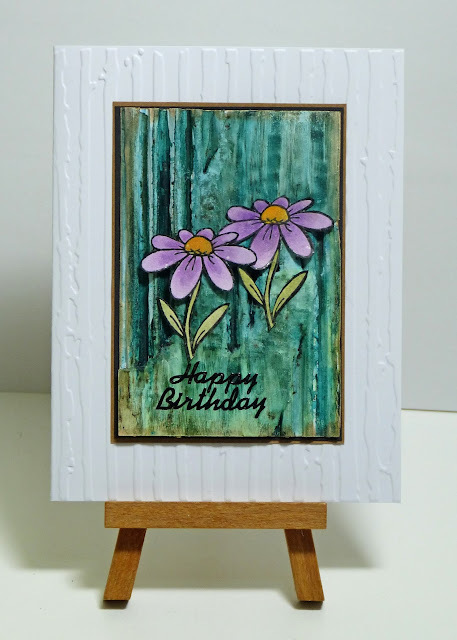 Lucy Stamps daisy; versafine ink & clear ep, Neocolor II watercolour pastels; PaperArtsy a bit jaded infusions;Art Basics silicone brush; vintage photo distress ink; distressed stripes embossing folder; sentiment sticker. So beautiful! 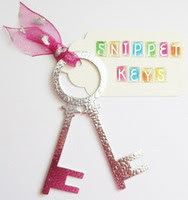 Love the dry embossed background! WoW! Great background, you used the technique of Carole great. It fits perfectly with your sweet daisies. Absolutely stunning Cathy! I love the texture and such lovely colours too - perfection! Love this! What an awesome background! That background is super fabulous. Gorgeous card Cathy! Its so elegant and striking. Love it! Wow! I love the result you got with the corrugated paper and such gorgeous colours Cathy. Super backgrounds for those sweet daisies. Cathy this card really has the WOW bursting out of it. The colours and the texture of the backgrond looks wonderful. Enjoy your time in your craft room. OMG! Love this card. That background looks amazing! So pretty - you are really delving into the realm of mixed media lately - love it!